We have a new boar! And as you can see he’s a Berkshire, not a Large Black. I had so wanted to stick with a LB boar, but the closest one we could find was in Indiana and the cost of gas right now just made it too expensive a venture. I hope one of these years to start a LB breeding program here, but for now we decided to try a Berk. Then it was time for the all-important name choosing. 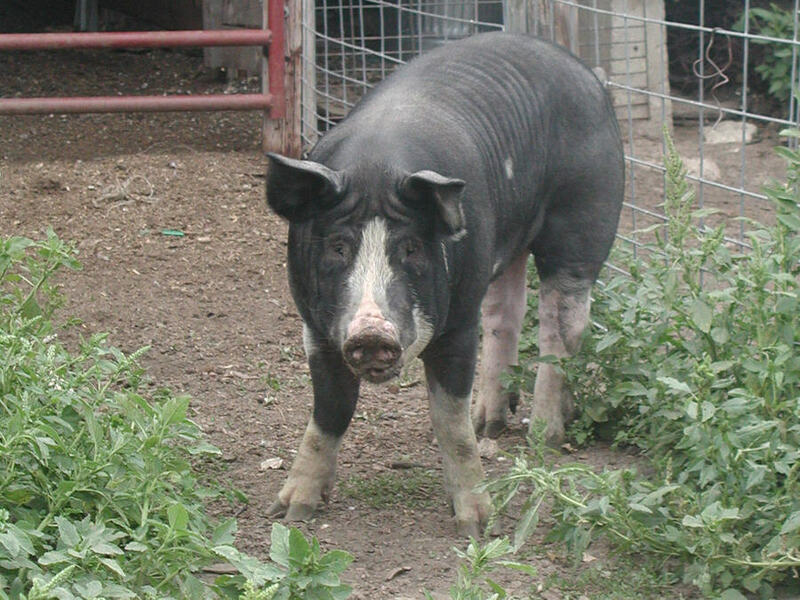 Since Matt dubbed the gilts “J-Lo & the Posse” (because they have nice hams), we almost thought to go with a rapper name like B Diddy (“B” for bacon). But we decided to keep with something a little more regal, and Madeline came up with “Oliver”. The gilts sure seem to like Oliver so far! The sad thing is that Winston will be leaving us. He’s become almost a mascot for Sugar Creek Farm. There will be tears shed when the day comes for him to go. I used this recirpe for the pickled pepper http://www.fiery-foods.com/dave/pickle.html#Traffic%20LightI hope it works, I have not tried this before… and I’ll have to wait about 6 more weeks to find out!! Winston will be going to the hog buyer…I’d guess he’ll be pepperoni. Thank you Stacie, can’t wait to give it a try! I was wondering where Winston was going, too. Hate to hear that because of his rareness, but that’s life on the farm, eh?Oliver is quite the, uh, masculine pig, no?? Hee hee, he certainly is Juli! 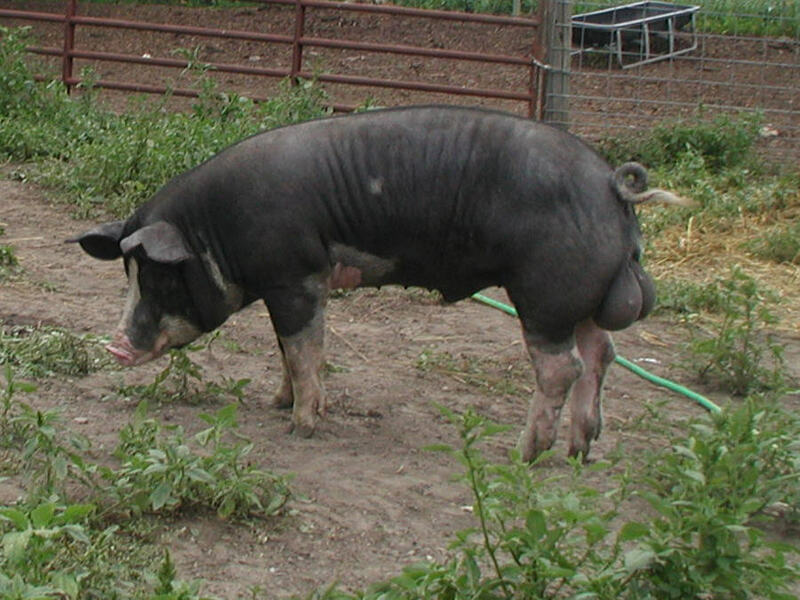 After I read your comment I got to thinking that you never know, someone with older larger sows might want Winston. So I did list him at the NEHBC website for sale.